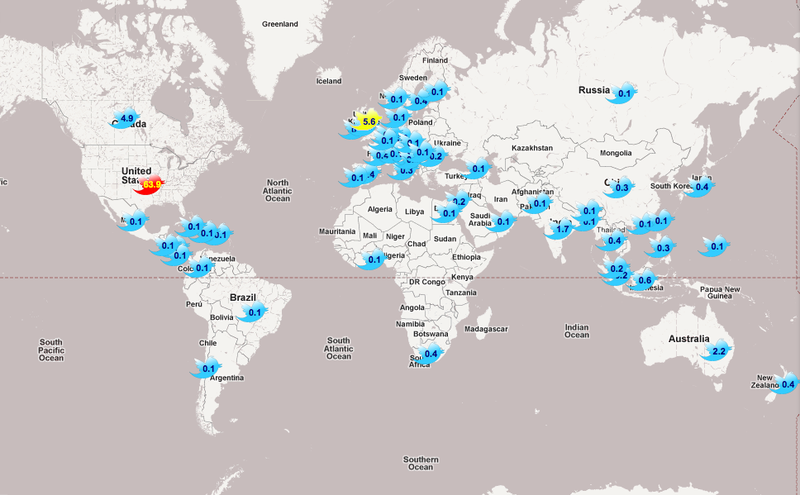 I came across this cool app which maps the geographic location of a Twitter user’s audience. Here are some top level findings about my Twitter audience. 64% of my followers are from the #UnitedStates, 6% are from the #UnitedKingdom & 6% are from #NewYork. Discover more about your Twitter audience at tweepsmap.com.